Although Samsung’s attention is being well and truly guided toward the imminent Unpacked event that will see the announcement of the Galaxy S IV, but that hasn’t caused the South Korean company to forget about their current flagship, the Galaxy S III. Consumer interest may be laser guided towards the new Galaxy S IV, but it has now come to light that Samsung has been working on an upgraded version of the smash-hit Galaxy S III in parallel with the fourth-generation Galaxy S device. Although we have seen many pretenders to the throne in the smartphone market, the Galaxy S III is still the darling of the Android community after having managed to amass sales in excess of the thirty-million mark for the company. With those kinds of sales figures, it isn’t hard to see why Samsung would be extremely keen to release a new and improved version of the phone that could find itself being extremely popular with smaller and emerging markets. As mentioned earlier, Samsung have pedigree when it comes to reinvigorating a device that many think has come to the end of its shelf life. The 2012 released Galaxy S II Plus and Galaxy S Advanced are two perfect examples of the successes to be had by doing this. 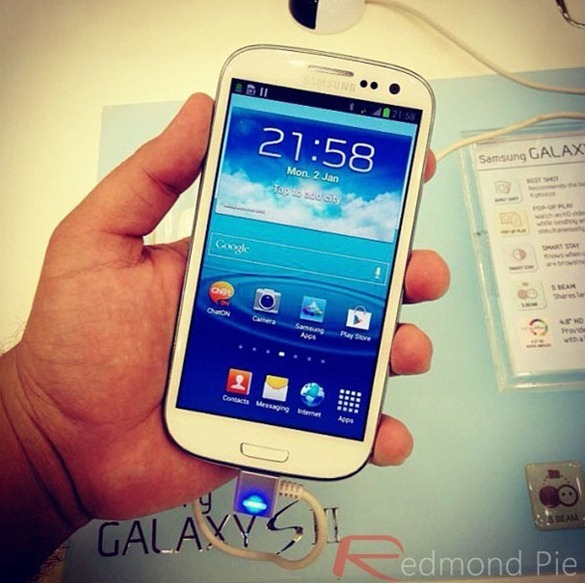 Speculation is suggesting that a revamped S III will drop shortly after the official launch of the Galaxy S IV, which makes sense as Samsung certainly wouldn’t want anything to take focus away from the fourth-generation hype. While it’s unknown at the moment what the final specification of the improved S III will look like, we have are getting reports suggesting that it will come with an improved display that could potentially be full 1080p HD. Potential purchasers could can also expect to benefit from extended battery life thanks to a new 2400mAh that could be complete with wireless charging functionality. This week’s discussion with almost certainly be all about the announcement of the S IV, but it’s nice to see that we could be getting the S III that many felt the original device should have been when it hit the market around this time last year.